What every New Yorker, from Buffalo to the Bronx, knows in their heart. . . .
Join our campaign to Share the Love, Stop the Hate! 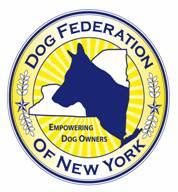 The Dog Federation of New York is a proud member of the Love Does Not Discriminate campaign, which kicked off in New York City on February 14. DFNY will be visiting Astoria, Queens, this spring and summer to work with concerned dog owners facing discriminatory proposals from City Councilman Peter Vallone Jr. that negatively profile good dog owners with good dogs. DFNY believes the City of New York needs laws based on facts, not fear. Our dogs are depending on us!